Grand Cata is a wine store specializing in Latin American wines and culture. We are located at the Jefferson Marketplace, 1550 7th Street NW in the Shaw neighborhood of Washington, DC. Education, community, and celebration of our heritage are a big part of our mission, so visit often! Metro on the Yellow/Green Line to Mt. Vernon Convention Center or Shaw-Howard stations. Or take Bus 70 (North-South on 7th) or G2 (East-West on P). Bicycle lanes on 7th and Q NW, racks in front of shop. Capital Bikeshares at 8th and O or 7th and R. Public street parking available. A curated selection of classic and sustainable natural wines from Latin American, USA, Spain, Portugal, and Italy. 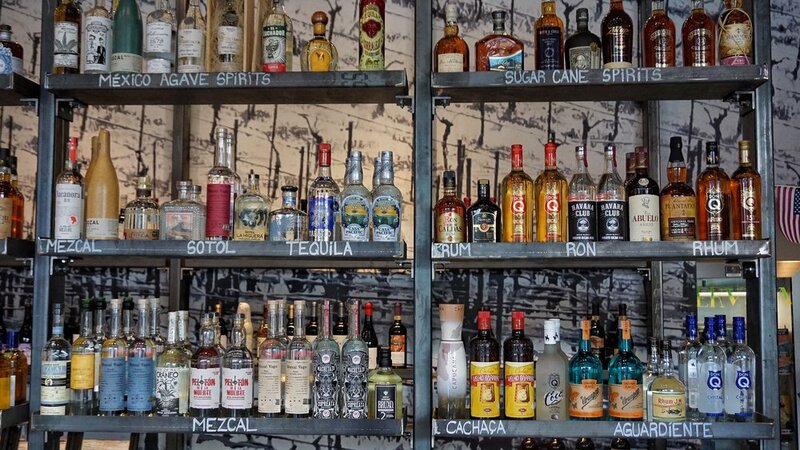 Hand-selected signature spirits from Latin America and the Old World. Find Latin American, local craft beers, and classic European brews. Authentic gourmet products from Latin America and beyond, including sauces, salts, oils and spices to fill your recipes with sabor latino. Hear our music, see our artists' work, and learn alongside friends and neighbors through tastings, classes, and special events. It’s that time of year where we celebrate our neighborhood as one of the city’s top dining destinations with a one-night cocktail and culinary extravaganza hosted by dozens of our neighborhood’s best bars and restaurants. EAT.DRINK.SHAW takes place on Wednesday, April 24, 2019 at the Howard Theatre. One night of live entertainment, unlimited sips. For more information and to purchase tickets, please visit EatDrinkShaw.com. Every day, we have something open to taste at our counter. 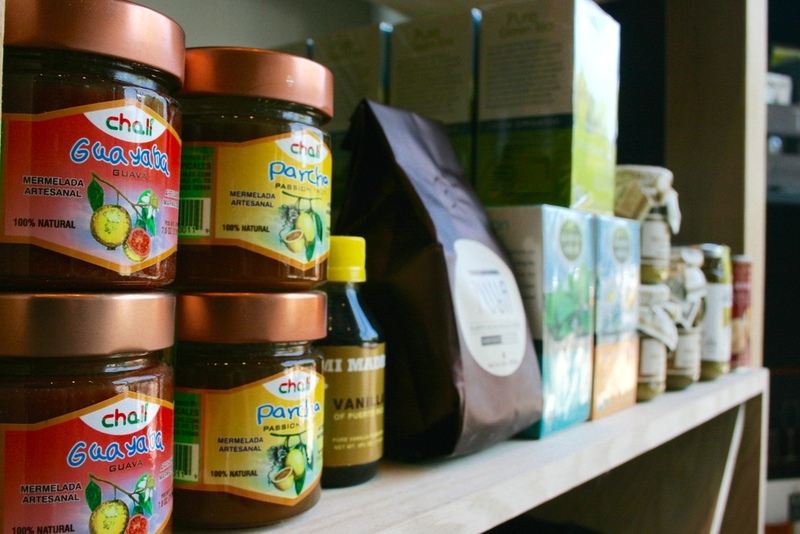 Daily Cata is a great reason to stop by, taste something new, and discover your new favorites. We want to share the flavors of the Latin world and beyond! Tastings are Monday-Friday 5-8pm and Saturday-Sunday 3-5pm. Through our selection of gifts and services, share Grand Cata with the people you love. Hand-pick gourmet items and fine beverages for a gift basket, or let us arrange one according to your budget and needs. Premium gift solutions for groups or corporate events, big or small. Delivery to personal and professional addresses in the District of Columbia, for $5-$10 depending on zip code with purchases over $80. Free delivery for 20001 residents and businesses. 5% OFF mix and match 6+ bottles, & 10% OFF mix and match 12+ bottles. Mondays: 10% OFF all inventory for hospitality industry workers. Monday & Tuesday: 10% OFF wine pairing purchases when you visit us with your Beau Thai carry-out or receipt. Planning a party, a wedding, or other special event? Use our menu consultation service to create the perfect food and drink selection for your guests. Gathering at Grand Cata. Rent our intimate venue for a private wine tasting event. Share a communal table with up to 16 guests or standing room up to 30 guests. At the very least, we'll entertain your guests with our accents. ¡Salud! Shipping throughout the country available via FedEx: please call (202) 525-5702 or email us info@grandcata.com for more information regarding shipping. What kind of service interests you? When is your special occasion? Are you interested in delivery? Thank you! We'll be in touch soon to offer you a price estimate and coordinate further details. We look forward to making your special occasion truly especial.